I really like the idea of recycling and living a greener life, but I'm just not the type of person that wants to go to a lot of effort to do it. I once saw a family being interviewed on the news who was able to fit all of the trash they threw away in an entire year in a small jar. They composted/recycled everything. I had two thoughts: 1) Wow, that's so cool. 2) Wow, I could never do that. After I eat a banana, I just want to throw it away. I'd rather not go dig a bunch of banana peel graves in the backyard. That said, I have found there are some easy ways I can go green that don't require extensive effort on my part. For anyone who is, let's say, less motivated to go green but still likes the idea, this post is for you. 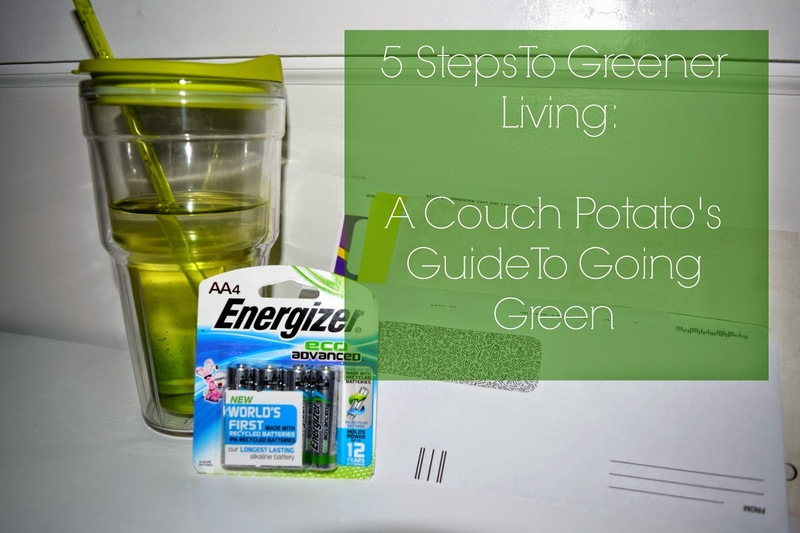 I've put together 5 simple steps to go green designed specifically for the couch potato in us all. 1. Donate Old Clothes We all have old clothes that we don't wear anymore. I try to do a closet clean-out a couple of times a year (nothing makes you want to get rid of things like moving does). There were times where I would want to get rid of a shirt and just throw it away out of laziness. Yes, I have been guilty of this once or twice. Judge away, my friends. But, I recently discovered that there are charities that will come pick up your donations from your house! You just leave clothes, housewares, etc on the front porch and schedule a pick-up. Genius. I've done this several times, and it couldn't be easier. I've always used Purple Heart Pickup (www.purpleheartpickup.org), which benefits military veterans and their families. 2. Go Paperless I am in charge of paying the bills in our casa, and I've tried to make as many bills paperless as possible. If you go to the website for your bill, there will probably be an option at the bottom to select "Go Paperless". Your bills will be emailed to you, and you can just pay online. Super simple stuff, but it will save some paper! 3. Stop Paper Junk Mail From Coming To You This is one that is good for both the earth and your sanity. I'm not a fan of all of the junk mail we get on a daily basis, and it's such a waste of paper because all I do is throw it away. 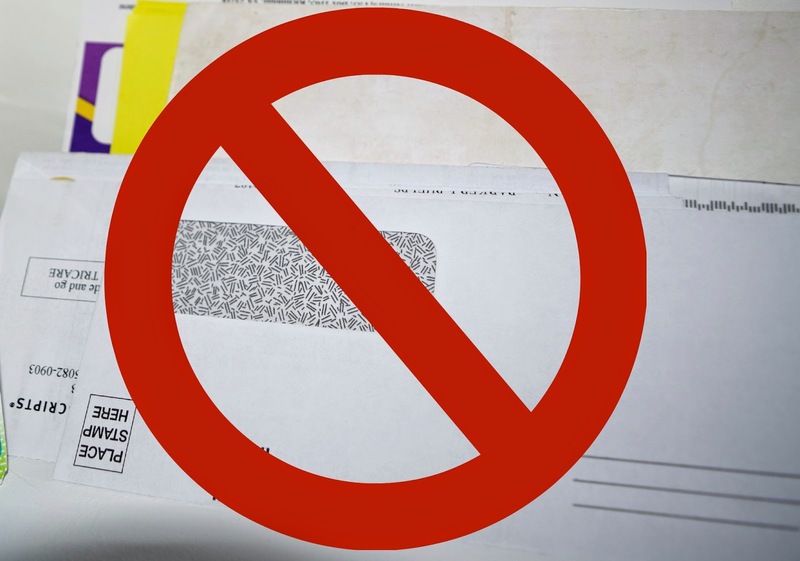 There are many websites out there that will allow you to opt out of receiving junk mail. An example is optoutprescreen.com. 4. Stop Using Water Bottles Parker calls me a water snob. He's kind of right. I like the purified stuff, I like it fresh, and I like it cold. I am a big water drinker and could go through 5 water bottles a day pretty easily. Not only is this financially a waste, but it's a waste of plastic. Instead, I've started carrying around a cup with a lid and a straw everywhere I go. This cup is always filled and always with me, and I like knowing that I am saving some plastic in the process. 5. Use Energizer EcoAdvanced Batteries This is the first battery on the market to use recycled batteries/materials. I use the AA most frequently, but they come in AAA as well. These batteries are the epitome of taking something old and creating something new. I'm pretty sure if you looked it up, that's how Webster would define recycling as well. 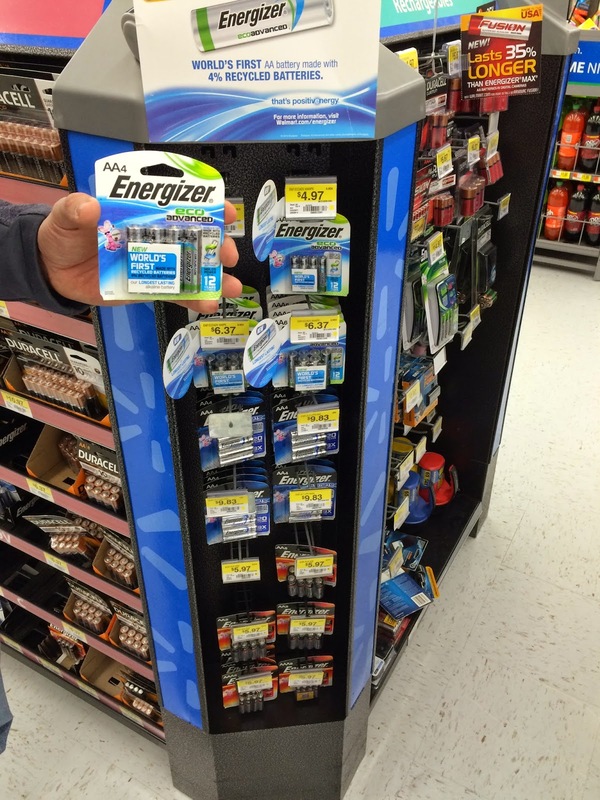 Even though this is a new product, it's Energizer's longest lasting alkaline ever. Innovation station. We picked up these bad boys at Walmart on a display near the check-out counter. Before you go, enter the GuiltFreeEnergy Giveaway for the chance to win $1000 in gift cards. Good luck! I really do love this post and I'm seriously try my best to live a greener life! I think most people live greener lives without even knowing it. I do my best to do the same.